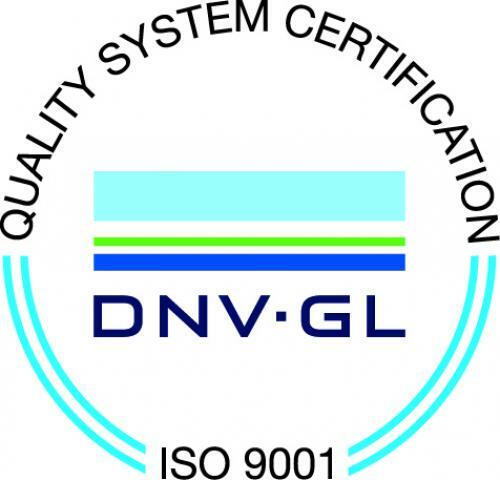 December 2018 Hammond-Henry Hospital has been awarded full certification to the ISO 9001 Quality Management System by DNV GL - Healthcare. "Hammond-Henry is dedicated to providing the safest and most effective healthcare services possible," says Rebecca Hutchinson, RN BSN, HHH Quality and Risk Manager. HHH is one of only thirty-four critical access hospitals in the nation to receive this certification. View the full list of ISO 9001 certified critical access hospitals. 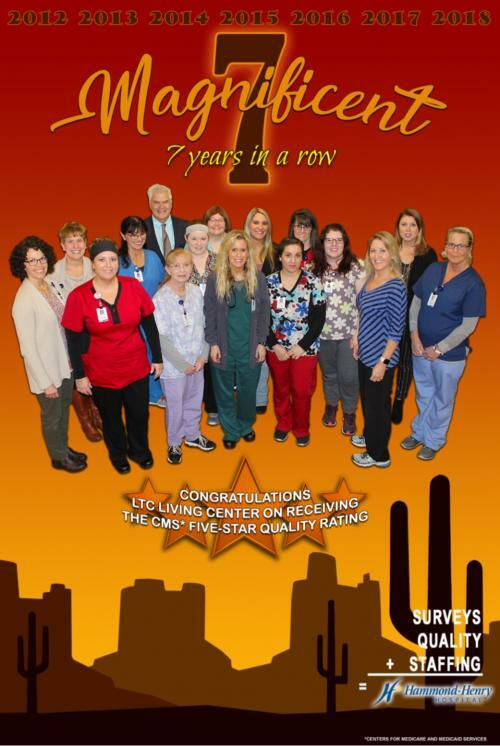 December 2018 Hammond-Henry Hospital (HHH) is pleased to announce that the HHH Long-Term Care (LTC) Living Center has received a rating of five stars from The Center for Medicare and Medicaid Services (CMS) - the highest possible rating given by the organization. The official government website, Nursing Home Compare Five-Star Quality Rankings, is annually updated by CMS based on nursing home ratings in three primary categories - health inspections, staffing, and quality measures to develop an overall star rating. 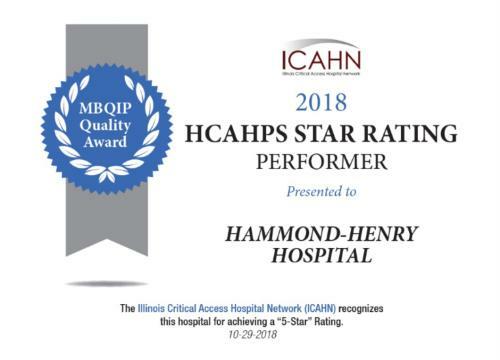 November 2018 The Illinois Critical Access Hospital Network (ICAHN) recently recognized Hammond-Henry Hospital, Geneseo, for its ongoing commitment to exceptional quality of care, during a ceremony held October 29th at the I-Hotel and Conference Center, Champaign, IL. As part of the Federal Office of Rural Health Policy Medicare Beneficiary Quality Improvement Program (MBQIP), Hammond-Henry Hospital and other critical access hospitals were asked to voluntarily participate in four defined domains of quality outcomes. These four domains include: Patient Safety/Inpatient; Patient Engagement; Care Transitions; and Outpatient Measures. 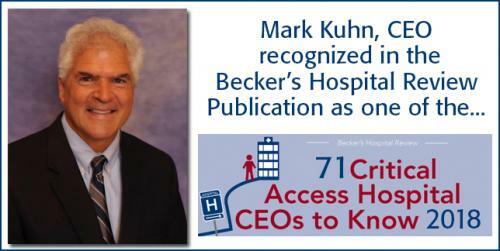 October 2018 Hammond-Henry Hospital is proud to announce that CEO, Mark Kuhn was recently named one of “71 Critical Access Hospital CEOs to Know”. Becker’s Hospital Review located in Chicago, IL releases this annual list of CEOs from across the country who have been recognized for patient safety and quality care. Hammond-Henry Named One of the "66 Critical Access Hospital's to Know"
September 2018 – Hammond-Henry Hospital has been named as one of the “66 Critical Access Hospitals to Know” by the Becker’s Hospital Review. 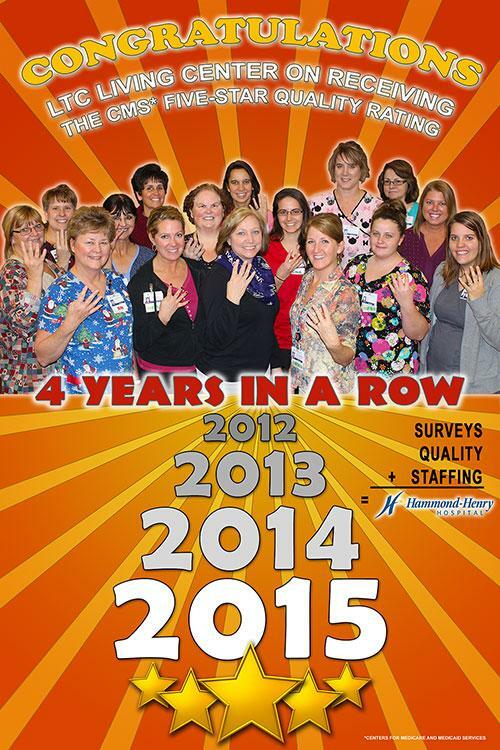 This is Hammond-Henry Hospital’s fourth consecutive year on the prestigious, national list. Having a place on this list puts Hammond-Henry Hospital in the top 2% of critical access hospitals in the country. The Becker’s Healthcare editorial team considered the hospital’s community impact and reputation for innovation. Moreover, Hammond-Henry Hospital secured its spot with its superior service and care plus various awards and rankings received over the past year. December 2017 – Hammond-Henry’s Long-Term Care (LTC) Living Center has again received the highest possible overall rating of five stars from The Center for Medicare and Medicaid Services (CMS). CMS annually updates their official government website Nursing Home Compare Five-Star Quality Rankings based on rating nursing homes by three primary categories - health inspections, staffing, and quality measures to develop an overall star rating. This rating system continues to include new quality measures covering successful discharges, emergency visits and readmissions to the hospital. 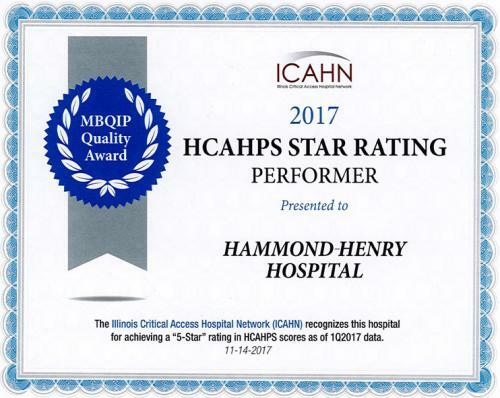 November 2017 – Hammond-Henry Hospital was one of six hospitals statewide honored for achieving a ‘5-Star’ HCAHPS Rating. The Center for Medicare and Medicaid Services (CMS) created the HCAHPS Star Ratings for consumers to more quickly and easily access the patient experience of care information provided on the Hospital Compare website. Star ratings will also allow consumers to more easily compare hospitals. 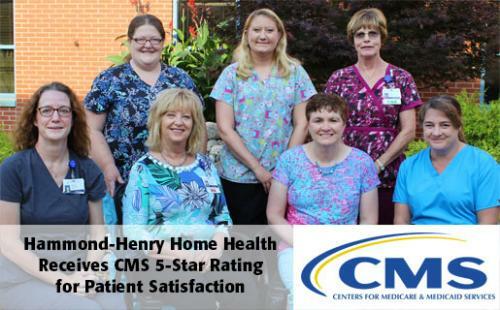 August 2017 – Hammond-Henry Home Health receives a 5 out of 5-star rating for patient satisfaction, as listed by the Centers for Medicare & Medicaid Services (CMS). Home Health Consumer Assessment of Healthcare Providers & Systems (HHCAHPS) conducts an ongoing national standardized survey on patient satisfaction with results being released quarterly. The survey is designed to evaluate responses from patients and their families about recent care with a home care agency. They are asked about professionalism, communication, medication/pain/home safety education, patient ratings and recommendation of use of the agency in the future. 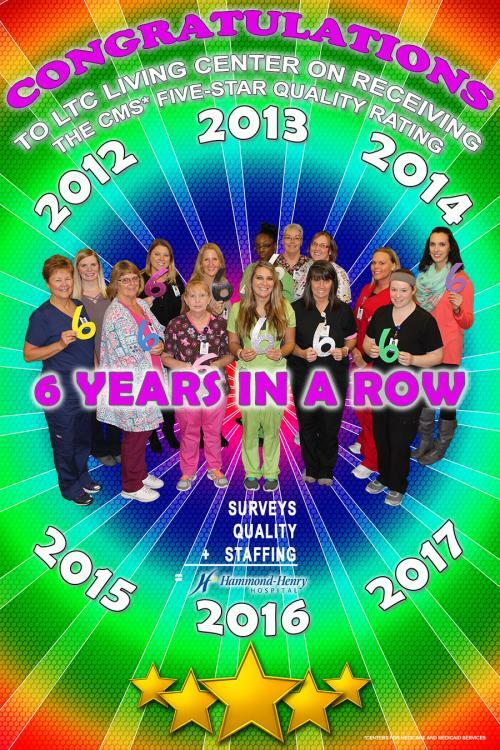 For this quarter’s results, Home Health is the only agency in the service area that received the 5-star rating from the HHCAHPS survey. Go to medicare.gov/homehealthcompare for help in finding home care health agencies. 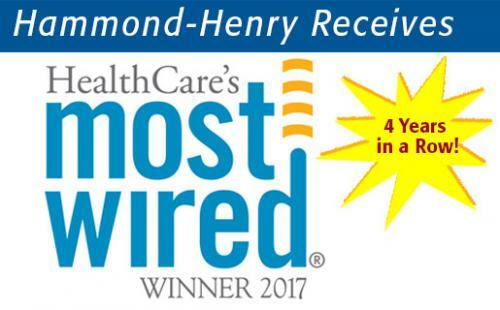 July 2017 – Hammond-Henry Hospital is one of the nation’s Most Wired- Small and Rural Hospitals, according to Hospitals and Health Networks (H&HN), an American Hospital Association publication. Technology is making it easier for patients and providers to interact, thus improving communication, safety and patient-provider relationships. New tools are helping patients become more actively involved in their care and maintaining their health, according to results of the 19th Annual Health Care’s Most Wired Survey, released July 10, 2017 by the American Hospital Association's (AHA) Health Forum. 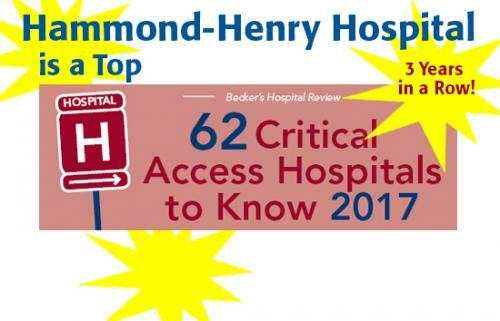 July 2017 – Hammond-Henry Hospital (HHH) has been named as one of the “62 Critical Access Hospitals to Know” by the Becker’s Hospital Review. The Becker’s Healthcare editorial team considered the hospital’s community impact and reputation for innovation. Moreover, HHH secured its spot with its superior service and care plus various awards and rankings received over the past year. The hospitals included on this list serve a variety of regions across the United States. Due to their predominantly rural locations, these organizations play a crucial role in the health and well-being of their respective communities. HHH is proud to be one of the two Critical Access Hospitals from Illinois to make the list. 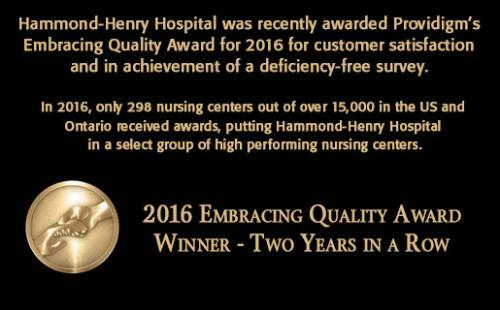 April 2017 – Hammond-Henry Hospital was recently awarded Providigm’s Embracing Quality Award for 2016 for customer satisfaction and in achievement of a deficiency-free survey. In 2016, only 298 nursing centers out of over 15,000 in the US and Ontario received awards, putting Hammond-Henry in a select group of high performing nursing centers. In Illinois 11 out of 1,200 nursing centers received this award for customer satisfaction and only three nursing facilities received this award for achievement of a deficiency-free survey. Hammond-Henry’s skilled care nursing received this award for customer satisfaction last year. Jeff Lingerfelt, CEO states “We are honored to once again be recognized by Providigm for this quality award. It is a direct reflection of the unwavering commitment of our staff to provide outstanding patient care with both skill and compassion to those we serve. We salute Dawn Bryner, long term care manager and her staff on this outstanding accomplishment. December 2016 – Hammond-Henry's Long Term Care Living Center has received the Center for Medicare and Medicaid Services (CMS) Five-Star Quality Rating five years in a row! We are ranked as one of the best skilled or long term care centers not only in the area, but in the nation. Our staff enjoys providing quality care in a friendly home-like environment to our skilled and long term care residents. August 2016 – Hammond-Henry is proud to announce that our CEO Jeff Lingerfelt was recently recognized in the Becker's Hospital Review publication "50 Critical Access Hospital CEOs to Know" list for 2016! The presidents, CEOs, administrators and other executives on this list lead the hospitals featured on Becker's "50 Critical Access Hospitals to Know | 2016" list. Under their guidance, their hospitals have been recognized nationally for their quality care and patient satisfaction. Click here to read the Becker's Hospital Review press release. July 2016 – Hammond-Henry Hospital is one of the nation’s Most Wired- Small and Rural Hospitals, according to Hospitals and Health Networks (H&HN), an American Hospital Association publication. Technology is improving the efficiency of care delivery and creating a new dynamic in patient interactions, according to results of the 18th Annual Health Care’s Most Wired Survey, released July 6, 2016 by the American Hospital Association's (AHA) Health Forum. 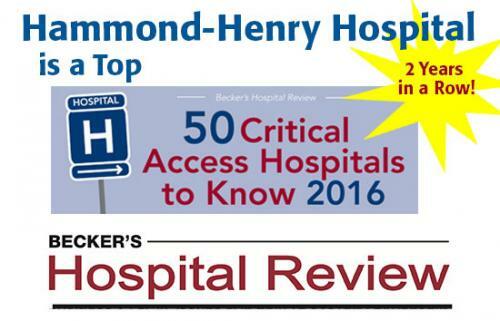 July 2016 – Hammond-Henry Hospital is named in the prestigious group "50 Critical Access Hospitals to Know" by Becker's Hospital Review. 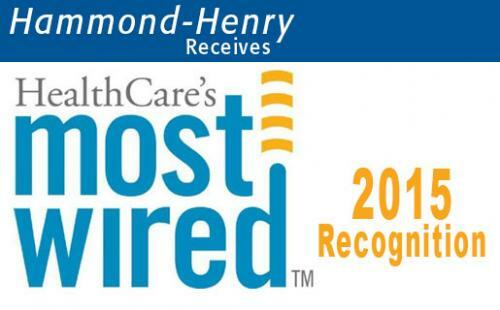 This is the second year in a row that Hammond-Henry has received this recognition based on rankings and awards from respected organizations, including iVantage Health Analytics, Healthgrades, the National Rural Health Association, Truven Health Analytics, Women's Choice Award and the Leapfrog Group. Hammond-Henry earned recognition from one or more of these organizations within the past two years. 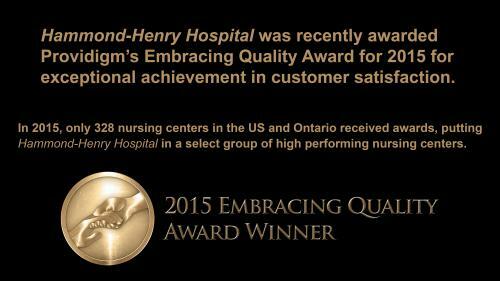 April 2016 – Hammond-Henry Hospital was recently awarded Providigm’s Embracing Quality Award for 2015 for customer satisfaction. In 2015, only 328 nursing centers out of over 15,000 in the US and Ontario received awards, putting Hammond-Henry Hospital in a select group of high performing nursing centers. In Illinois 13 out of 1,200 nursing centers received this award. 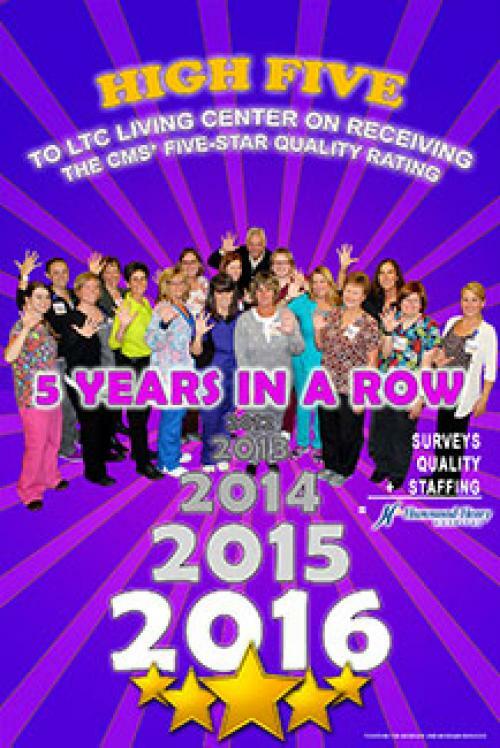 December 2015 – Hammond-Henry Hospital LTC Living Center is proud to announce the celebration of 4 consecutive years of 5 Star quality ratings by the Center of Medicare & Medicaid Services (CMS). CMS created the Five-Star Quality Rating System to help consumers, their families, and caregivers compare nursing homes more easily and to help identify areas about which you may want to ask questions. CMS’s Nursing Home Compare Web site features a quality rating system that gives each nursing home a rating of between 1 and 5 stars. Nursing homes with 5 stars are considered to have above average quality and care while, nursing homes with 1 star are considered to have below average quality and care. There is one Overall 5-star rating for each nursing home and Hammond Henry’s LTC Living Center has achieved this again this year. The Press Ganey Guardian of Excellence Award is a nationally-recognized symbol of achievement in health care. Presented annually, the award honors clients who consistently sustained performance in the top 5% of all Press Ganey clients for each reporting period during the course of one year. The award represents an important recognition from the industry’s leader in measuring, understanding and improving the patient experience. 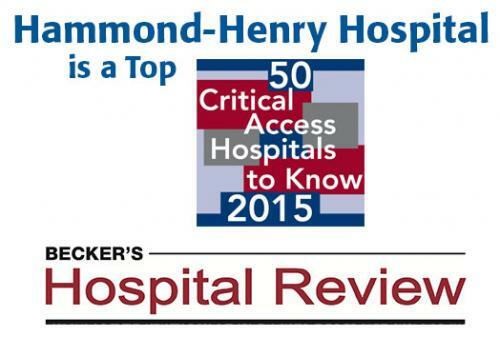 September 2015 – Hammond-Henry named in the prestigious group "50 Critical Access" Hospital's to know" by Becker's Hospital Review. This is the first time that Becker's has published such a list, which recognizes critical access hospitals that have demonstrated excellence in caring for their communities.The selection was based on other awards that we have received, such as the iVantage Top 100 Critical Access Hospital, patient satisfaction scores and quality indicators from CMS' Hospital Compare, and Healthgrades ratings. Becker's Hospital Review is well regarded throughout the health care community and provides national recognition for our hospital. This award provides continuing evidence that the committed guidance from the Board, the leadership of our management team and the quality of our medical staff is collectively achieving Hammond-Henry Hospital's vision to provide "medical excellence close to home". 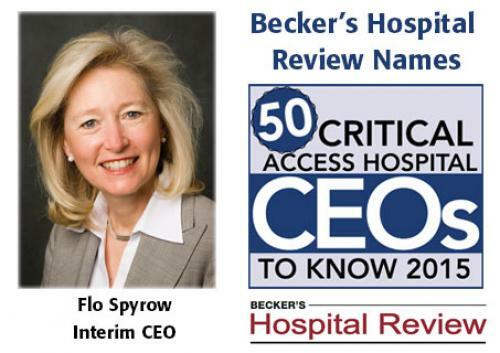 Hospital Publication Recognized Flo Spyrow Among “50 Critical Access CEO to Know"
August 2015 – Hammond-Henry Hospital is proud to announce that our Interim CEO Flo Spyrow was recently recognized in the Becker's Hospital Review publication "50 Critical Access Hospital CEOs to Know" list for 2015! Click here to read the Becker's Hospital Review press release. The administrators, presidents, CEOs and other executives on this list lead the hospitals on Becker's "50 Critical Access Hospitals to Know" list. Under their leadership and guidance, their hospitals have achieved success and earned recognitions from multiple reputable organizations. HHH is thankful for Flo's interim CEO leadership for the past nine months and wish her much continued success. July 2015 – Hammond-Henry Hospital is one of the nation’s Most Wired Hospitals, according to Hospitals and Health Networks (H&HN), an American Hospital Association publication. As the nation’s health care system transitions to more integrated and patient-centered care, hospitals are utilizing information technology to better connect disparate care providers, according to the 17th annual Health Care’s Most Wired Survey, conducted by Hospitals & Health Networks. April 2015 – Hammond-Henry Hospital is recognized as a 2015 HealthStrong Top Hospital. 4,334 acute care hospitals were in the study and 572 hospitals are recognized based on the INDEX measures. The INDEX measures include the nine weighted pillars of performance: Outpatient Market Share, Inpatient Market Share, Population Risk, Cost, Charge, Quality, Outcomes, Patient Perspective and Financial Stability. Hammond-Henry's INDEX rank was 89.3% nationwide. 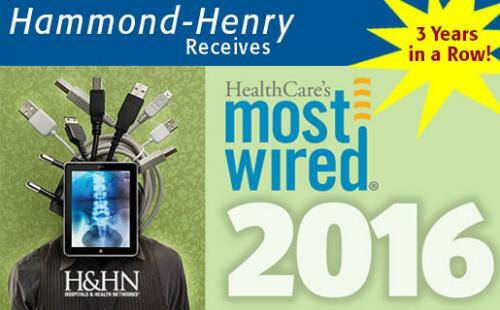 July 2014 – Hammond-Henry has achieved Stage 6 on the Electronic Medical Record Adoption Model. Health Information and Management Systems Society (HIMSS) developed the adoption model in 2005 as a methodology for evaluating the progress and impact of electronic medical record systems for hospitals. 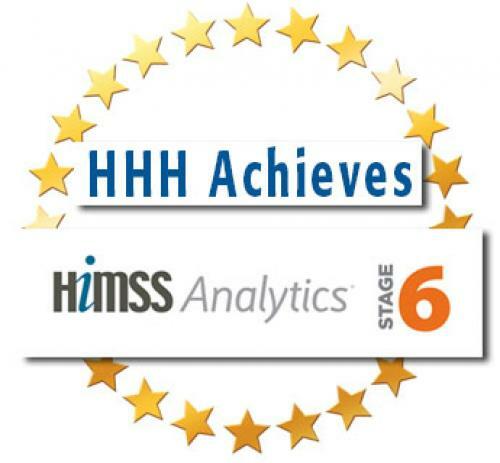 It allows HIMSS and individual hospitals to track their progress through the completion of eight stages (0-­7). Hospitals are able to review the implementation and utilization of applications with the intent of reaching Stage 7, which represents an advanced electronic patient record environment that is totally paperless. Stage 6 hospitals are noted for several achievements including their investment and an organization-wide commitment to an IT transition. They also demonstrate an advantage in patient safety and clinical support. In addition, their progress demonstrates progress in strategic alignment with their medical staffs to effectively utilize information technology to improve coordination of care. Only 15 percent of hospitals that have or are actively transitioning to an electronic medical record have achieved Stage 6 designation. June 2014 – Hammond-Henry Hospital was recently named one of the “100 Great Community Hospitals” by Becker’s Hospital Review. Becker's Hospital Review has published the 2014 edition of "100 Great Community Hospitals," a list based on hospitals' accolades, quality of care, and services provided to their patient populations. The hospitals featured on the list have fewer than 550 beds and minimal teaching programs. Some are suburban hospitals, but many are located in rural areas and are their communities' sole hospital. All have worked to provide the experience and quality of care their patients expect and deserve. May 2014 – Hammond-Henry Hospital scored in the top 100 of Critical Access Hospitals on the iVantage Hospital Strength INDEX©. The INDEX is the industry's most comprehensive rating of US acute care hospitals, and the only one to include the country's 1,300 CAHs. The results recognize that the Top 100 Critical Access Hospitals provide a safety net to communities across rural America — measuring them across 66 different performance metrics, including quality, outcomes, patient perspective, affordability, population risk and efficiency.